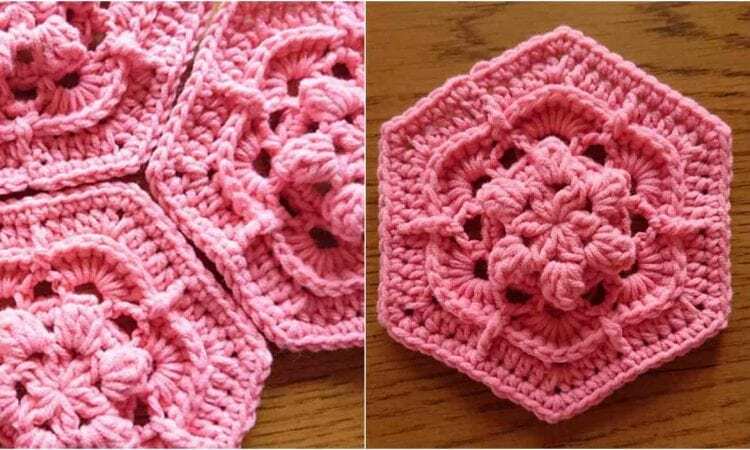 Hexagon-based blankets are an attractive alternative to the more traditional squares. These hexagons have an attractive, elevated flower texture that gives each hex a three-dimensional feel and look. Coupled with the correct choice of color, this will definitely be a great building block for interesting afghan, throw or blanket projects. A link to the free pattern is at the end of the post.